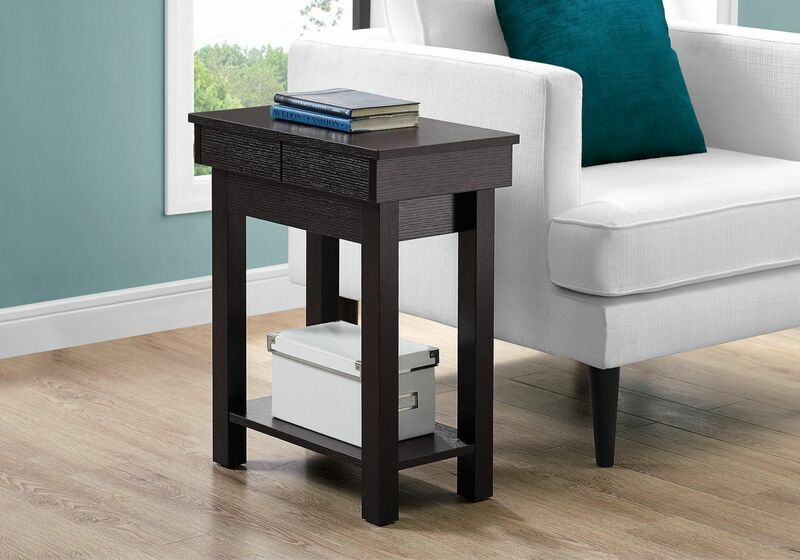 Add that extra touch to a room with this versatile side accent table in a smooth laminated cappuccino finish. This end table with a simple contemporary/transitional design in compact form provides ample storage space. 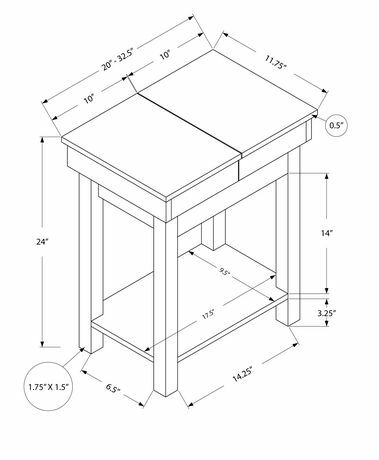 Place a plant, a decorative object, or books on the spacious table top which slides open to reveal a hidden storage drawer to keep tv remotes, a tablet, or extra paper and pens within easy reach. The handy bottom shelf is perfect to store additional items. 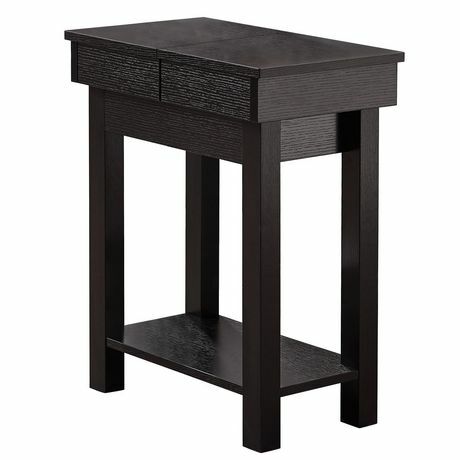 You will find so much use out of this accent table that you will want to add one to every room! Assembly is required.